A question about USB flash Memory. I am about to purchase a memory stick so that I can download a heap of styles from the yamaha website to use on my new PSR 750. I'm wondering if that means that the information on the memory stick will go permanently into the hard drive on my PSR 750 and stay in there, even though I have withdrawn the memory stick and put the memory stick away in another room.? Sorry about having to ask silly questions, but, in order to learn I find I have to admit my manifold ignorances. Thanks, Trevor. Re: A question about USB flash Memory. Firstly if you are buying a usb stick go for the better makes like Kingston and Sandisc, the price of usb's has fallen so much that you may as well go for something around the 8gb size, although check that you keyboard can handle that size,my Tyros 4 takes an 8gb no problem. Secondly the files will only go on to your hard drive if you copy them from the usb to the hard drive, you should be able to play them off of usb without copying them. Your PSR-S750 does not have an internal hard drive. There is an area of internal memory called 'USER' for saving files which retains it's contents even when the power is off, but this is only 1.9 MB on the 750, so should only be used when you want the fastest access times for files. A USB stick should be fast enough for most purposes. 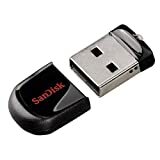 The USB stick that you buy will effectively be your 'hard drive' and you can store styles, voice edits, registration banks, multipads, MIDI songs and even Music Finder Database files on it. You will be able to select and load these files just as you would on a hard disk and the device will appear in the file selection screens as 'USB1', which you will be able to TAB to when it is connected. But obviously if the files that you want to use are stored on the device, it must be plugged into the keyboard to use them. As Drew said, USB sticks are cheap enough these days to get a good quality one, and his suggestion of 8 GB is plenty large enough, but larger sizes will work and won't cost much more. The 750 supports USB 1.1 but USB 2.0 devices can be used with it too and that is what you should get. Yamaha issue a list of devices that they have tested with the 750, but it tends to go out of date fairly quickly. I have attached a copy of the latest list that is on the Yamaha web site. In practice most people find that for all purposes other than recording audio to USB, most USB 2 sticks that you will find are likely to work, even if they are not on the Yamaha list, but it is up to you as to what you want to get. Whatever you get, it should come ready formatted to use, so you should be able to just plug it in and go. Many users end up leaving the stick in the keyboard most of the time, and there are some available which are physically very small which don't stick out much from the socket on the back of the keyboard, so the chance of them getting knocked and damaged, or even worse, damaging the socket on the keyboard, is greatly reduced. These are therefore perfect to leave in the keyboard as a pseudo hard disk. There is another use for a USB stick, and that is for recording and playing back audio as WAV files. Quite a few users have had problems with recording if they use just one stick for all purposes. It seems that when recording audio, the keyboard likes to have the memory that it uses for a recording in one contiguous block. However on a drive that you are using for general purposes too, the memory can become fragmented as you delete and edit files. Usually the recommendation is to get a second stick just for audio recording and not to use it for anything else. This has helped solve the problems for some folk. I don't suppose that you are too worried about this right now though. Finally your keyboard also has a second area of memory that retains it's contents without power. This is the 64 MB of Flash Expansion Memory. However this can only be used to hold a Voice & Style Expansion pack. At the moment only Yamaha sell these and they are typically themed for a given part of the world, although there isn't an Australian pack yet, so you will have to hang onto your real didgeridoo for the time being. Last edited by tyrosaurus; 09-05-2013 at 11:14 PM.. Thank you Drew, Ian and Paul.Gosh I'm glad this forum exists.I live in a remote area, and having access to knowlegeable people is invaluable. To have an answer to a problem within 24 hours is remarkable. I am so grateful. I am also aware that the comments you gentlemen have put up on the forum will be of great assistance to someone else, somewhere, in the future. Almost every day I spend a few minutes browsing the posts on the lone arrangers, and finding out bit by bit,things which, in time, I hope, become meaningful to me.I find the browsing quite enjoyable..I sometime wonder who is footing the bill for keeping Thelonearrangers up on the web. Are donations of money sometimes encouraged from members? Thanks for the kind words Trevor. Re: who funds the site. That's down to me. I have never forgotten the help I received when I'd just purchased a Tyros so it's my way of giving something back to the community. The site will always be free to use. The real stars of the site are those who give up their free time to help others by passing on valuable knowledge. Without the experts here we wouldn't exist. It's also great to hear the many talented musicians who share their music here, which can only inspire others to do the same. The site will be 5 years old next month and we still have a small group who've been with us from day one. It's always good to hear our efforts are appreciated. If you need an 8Gb USB stick look at this one - it hardly pokes out the back it's so small. This is what i'm using on the T4, works great but its fiddley to get back out.